1996 - SAN MARINO - NATALE FOGLIETTO (UNIF.BF/54 - SASS. 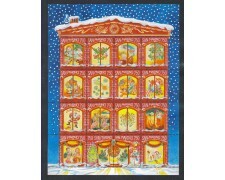 BF/44) FDC (UFFICIO FILATELICO). 1996 - SAN MARINO - NATALE - FOGLIETTO (UNIF.BF/54 - SASS.BF/44) NUOVO GOMMA INTEGRA ORIGINALE. 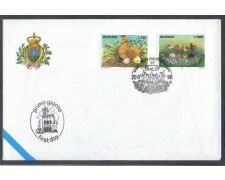 1996 - SAN MARINO - 50° ANNIVERSARIO UNICEF (UNIF.SASS.1523/1524) FDC (UFFICIO FILATELICO). 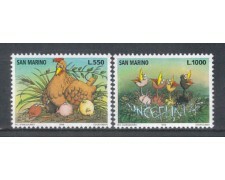 1996 - SAN MARINO - 50° ANNIVERSARIO UNICEF (UNIF.SASS.1523/1524) SERIE COMPLETA 2v. NUOVI GOMMA INTEGRA ORIGINALE. 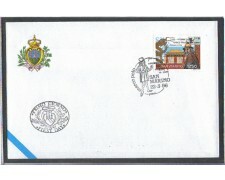 1996 - SAN MARINO - 50° ANNIVERSARIO DELL'UNESCO (UNIF.SASS.1519/1522) FDC (UFFICIO FILATELICO). 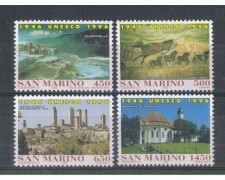 1996 - SAN MARINO - 50° ANNIVERSARIO DELL' UNESCO (UNIF.SASS.1519/1522) SERIE COMPLETA 4v. NUOVI GOMMA INTEGRA ORIGINALE. 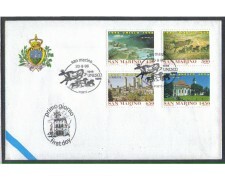 SAN MARINO 1996 - Fiftieth Anniversary of 'UNESCO - Complete set of 4 stamps - Complete original gum - Never hinged. 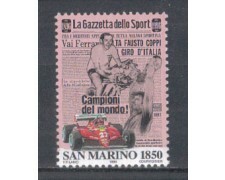 1996 - SAN MARINO - CENTENARIO DELLA "GAZZETTA DELLO SPORT" (UNIF/SASS.1518) FDC (UFFICIO FILATELICO). 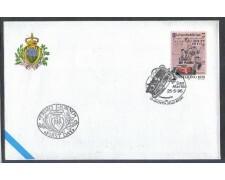 1996 - SAN MARINO - CENTENARIO DELLA "GAZZETTA DELLO SPORT " (UNIF/SASS.1518) NUOVO GOMMA INTEGRA ORIGINALE. 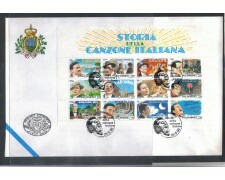 1996 - SAN MARINO - STORIA DELLA CANZONE - FOGLIETTO (UNIF.BF/53 - SASS. 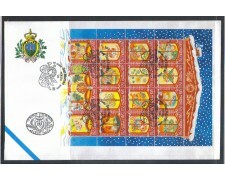 BF/43) FDC - Busta ufficiale dello Stato con annullo del Primo Giorno di Emissione. 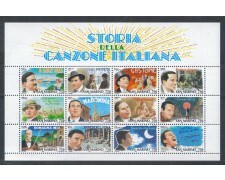 1996 - SAN MARINO - STORIA DELLA CANZONE ITALIANA - (UNIF. BF/53 - SASS.BF/43) FOGLIETTO NUOVO GOMMA INTEGRA ORIGINALE. 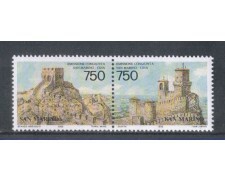 1996 - SAN MARINO - GIORNATE MEDIEVALI - (UNIF/SASS. 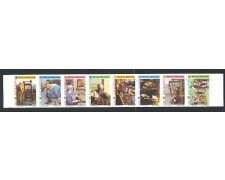 L4) SERIE COMPLETA 8v. NUOVI GOMMA INTEGRA ORIGINALE - EMESSI IL LIBRETTO. 1996 - LOTTO/8166F - SAN MARINO - RAPPORTI CON LA CINA - BF. 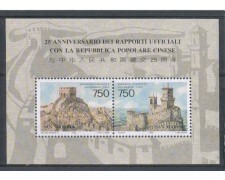 1996 - SAN MARINO - 25° ANNIVERSARIO DEI RAPPORTI CON LA CINA - (UNIF.BF/52 - SASS. BF/42) FOGLIETTO NUOVO GOMMA INTEGRA ORIGINALE. 1996 - SAN MARINO - "CINA 96" MANIFESTAZIONE FILATELICA INTERNAZ. 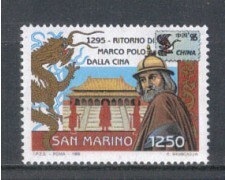 RITORNO DI MARCO POLO (UNIF/SASS.1494) FDC (UFFICIO FILATELICO). 1996 - SAN MARINO - "CINA 96" MANIFESTAZIONE FILATELICA INTERNAZIONALE RITORNO DI MARCO POLO (UNIF/SASS.1494) NUOVO GOMMA INTEGRA ORIGINALE. 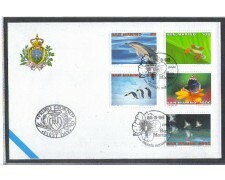 1996 - SAN MARINO - MONDO NATURA (UNIF.SASS.1489/1493) FDC (UFFICIO FILATELICO). 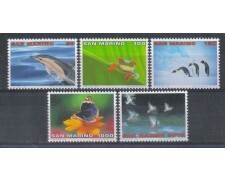 1996 - SAN MARINO - MONDO NATURA (UNIF.SASS.1489/1493) SERIE COMPLETA 5v. NUOVI GOMMA INTEGRA ORIGINALE. 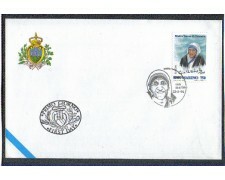 1996 - SAN MARINO - EUROPA - MADRE TERESA DI CALCUTTA (UNIF/SASS.1488) FDC (UFFICIO FILATELICO). 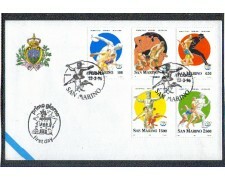 1996 - SAN MARINO - CENTENARIO DEI GIOCHI OLIMPICI MODERNI (UNIF.SASS.1483/1487 -Yvert.1433/1437) FDC (UFFICIO FILATELICO).